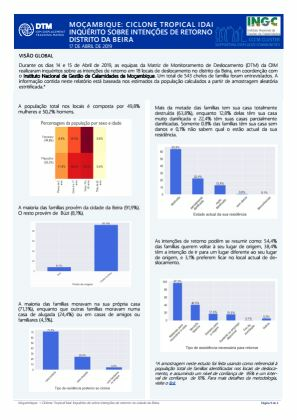 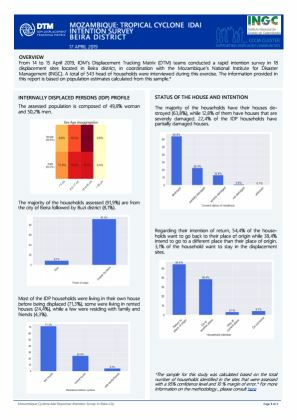 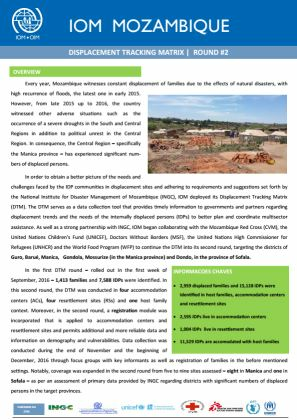 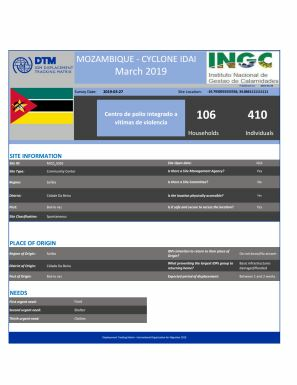 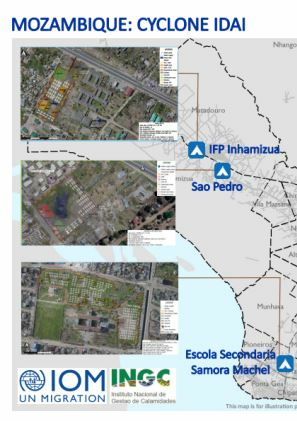 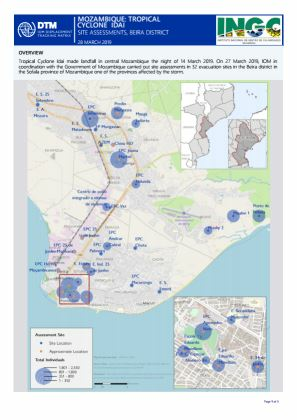 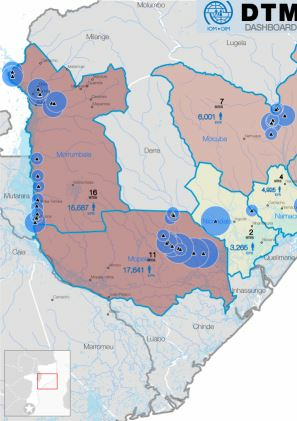 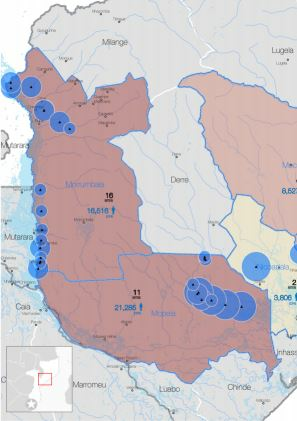 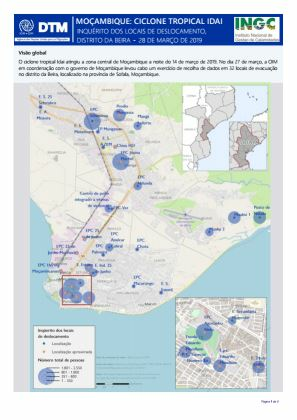 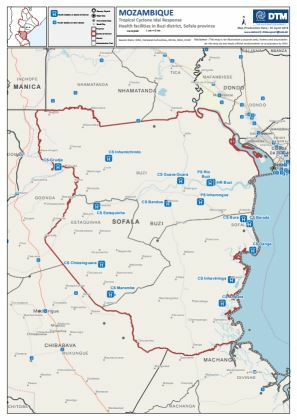 As of 25 March 2019, according to Mozambique’s National Institute of Disaster Management (INGC), 128,941 individuals (26,425 families) have been displaced and taken shelter in evacuation centres in the four provinces of Sofala (103), Zambezia (10), Tete (4) and Manica (26). From late 2015 up to 2016, Mozambique witnessed several severe droughts in the South and Central Regions in addition to political unrest in the Central Region. 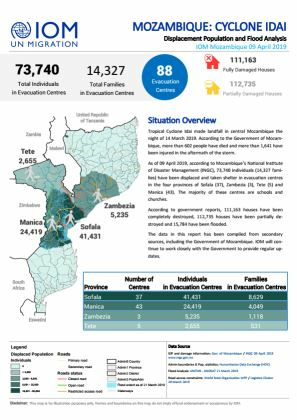 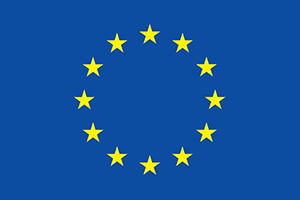 Assessments completed in late June revealed a decrease in the total IDP population over the past three months. 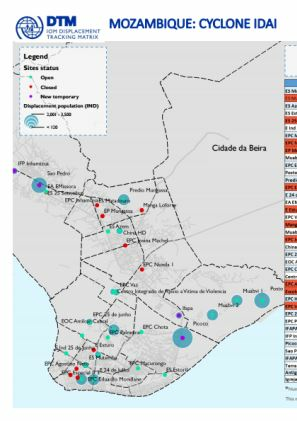 Overall, population declines were observed in 30 of the 48 communities. 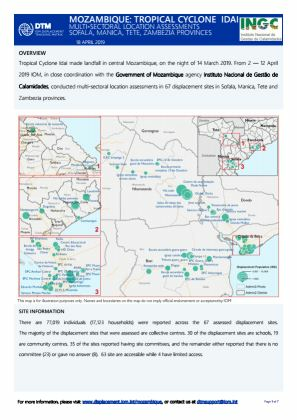 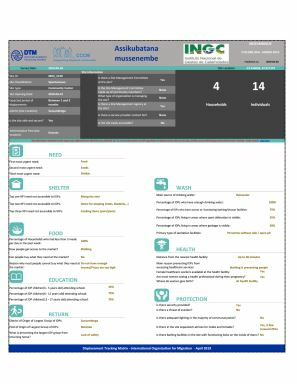 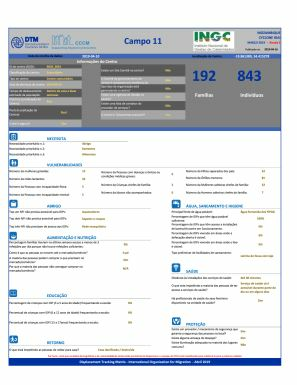 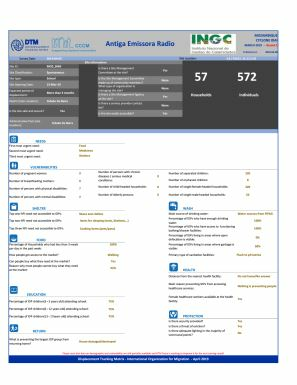 This dashboard displays location and size (number of IDPs) of displacement sites in Mozambique. DTM has recorded a total of 61,102 IDPs in 48 assessed sites. 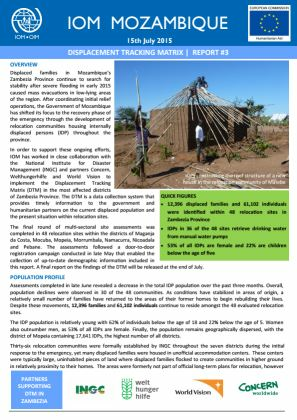 71% of IDPs intend to stay at relocation site. 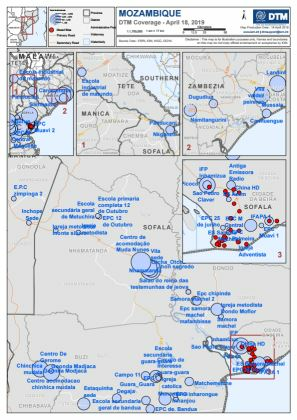 This dashboard displays location and size (number of IDPs) of displacement sites in Mozambique. 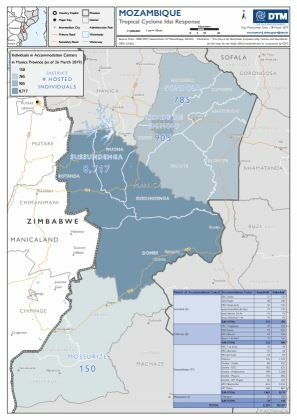 DTM has recorded a total of 72,517 IDPs in 46 assessed sites within Zambezia Province. 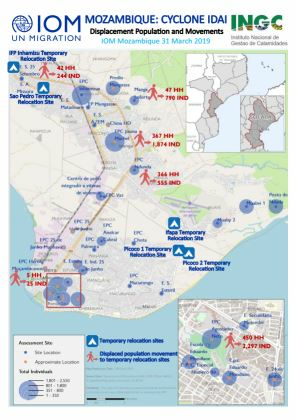 24% of sites are accommodation centres and 76% of sites are relocation communities.